I had been trying to approach other drum companies about endorsements but I got the usual automated response of “fill in this form” and then nothing would come from it. 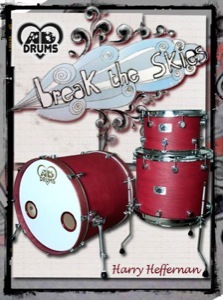 I fell across the AD Drums website by accident but I was blown away with all the different shapes and styles of kit that they built, so I took a chance and emailed them. When I heard off Carl, I loved the informal chit chat that you fail to get from most companies these days. I had no idea what colour, style or size of kit I wanted, Carl made some suggestions THROUGHOUT the build to make it what it became – and what a beauty. He would send through teaser pictures every now and then just to wet my appetite and make me even more impatient to see the real thing. 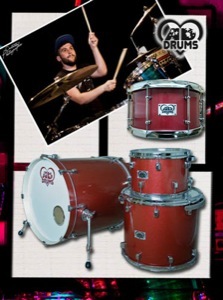 When I finally got to pick the kit up, I was in disbelief to find that he builds these kits in numerous sheds in his parent’s property – from the quality you would believe it was produced in a factory like most other kits! I did have a small issue with a faulty lug on the kit but, once again, Carl outdid himself and sent not just a replacement but a handful of lugs and tension rods to make up for this, which was never his fault in the first place. I’ve received many compliments on the look and sound of the kit – from concerts with Orchestra’s, pit bands or gigs with rock bands. 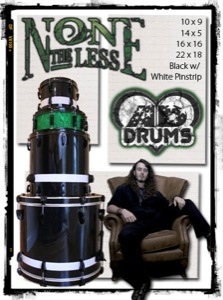 I would always recommend not just AD Drums but Carl himself. 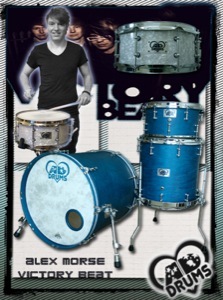 I have always had my dream kit in my head but no drum companies built exactly what I was looking for. 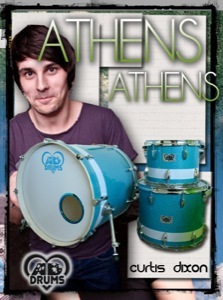 So I took it upon myself to approach Carl at AD Drums and he responded to me straight away which other drum companies didn't. 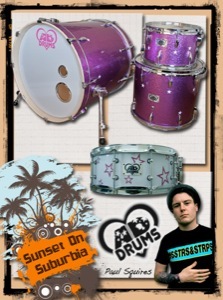 We spent a week writing back and forth via email discussing what I wanted my dream kit to be like. This included sizes, colour and shell type that would match my price range, Carl was able to work with all my ideas and even added some thoughts of his own in order to get the best kit I could for the money, which I liked. After we had decided what the kit was going to be I gave Carl the go ahead to crack on. 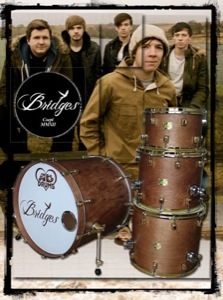 Throughout the build Carl kept me updated with pictures and emails which I really liked because I was able to see the kit progress from plain wood to the finish product this was a simple touch but something which I liked a lot because other drum companies do not do this. 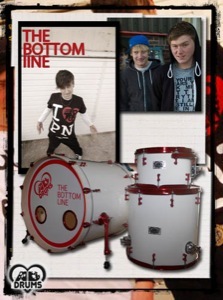 When the kit was finished me and Carl discussed picking the drum kit up of which I was a 3 hour drive away from him. However it was just my luck that Carl was doing a drum show up near where I live so I only had an hour drive to go and collect it. It was really nice to meet the guy who had built my drums and the first time I saw them I was blown away by the craftsmanship that had gone into the drums and I can't thank Carl enough for making my dream kit come true. The kit looks fantastic and looks amazing. 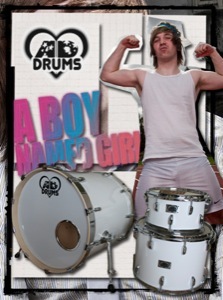 I would highly recommend that anyone wanting a custom drum kit building then Carl at AD Drums is your man. 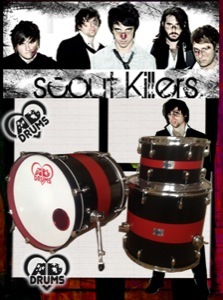 I wouldn't trade my kit for the world. She's a beauty. 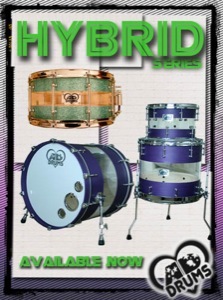 I've seen AD Drum's name pop up many times over the years and when it was finally time to upgrade my kit they were the brand that really stuck out for me. 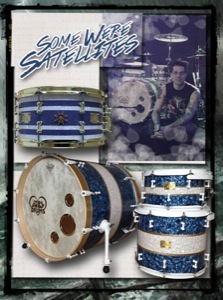 Not only did they have unique looking kits but as soon as i started speaking to carl i could see how much passion and pride he had in his company, it felt like i had known him for years and we were able to collaborate on something that would turn out to be so beautiful. To make it even better the quality of the kit is incredible, the time and labor thats gone in to making it look and sound exactly how i wanted is apparent in the final product. 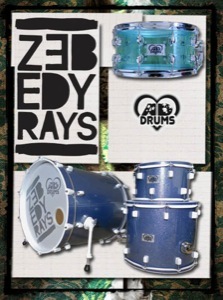 Each drum sings beautifully and i couldnt be happier to be apart of the AD family. 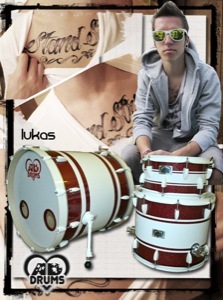 Dealing With AD Drums was very easy and very simple. Firstly sent him an e-mail asking for a quote for my kit. He emailed back very quickly telling me he would have my quotes in a few days. The next day I had the quotes and I was surprised as to how much they were. I had got quotes from other companies in America (not naming names:)) who had quoted me nearly a grand more. I told Carl I would need a few days to decide. He was very polite and didn't nag me over the few days I was deciding. 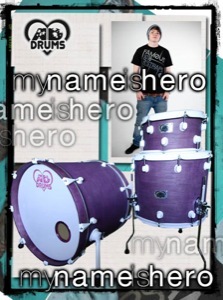 Finally when I did decide he was very helpful in coming up with ways that we could make the kit even more custom. All through the build he was very helpful and he even managed to get me one of the last two vintage heads in the UK. He kept me updated the whole way though the build and you could clearly tell that he was not after your money like other companies (again not naming names:)) he was doing it because he wants to. 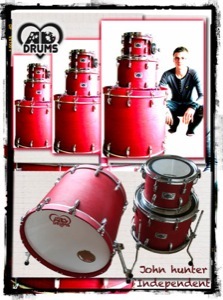 When I went to pick up the kit Carl was very polite and inviting, a genuine nice guy. Once I had picked up the kit, and payed him the final payment. I have been playing it nearly every day so far and the looks get better every time as well as the sound. 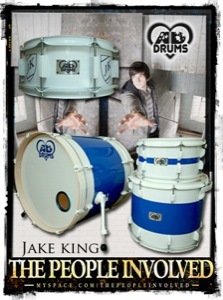 AD Drums are an amazing company and I will be getting in touch again for a few more things. 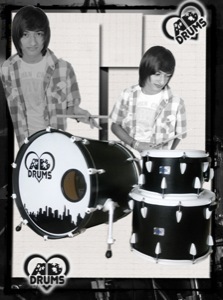 I first met Carl at a drum show in Stafford, as soon as i saw what he was all about i was immediately interested. 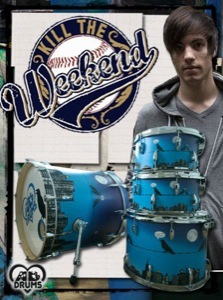 After playing and hearing his drums, i knew it was time to get a new kit. So i contacted him within the next few weeks, and as quick as could be we began to draw up some ideas with great haste. We fired ideas for a couple of days (with extremely fast replies on his behalf) and then settled on a final idea. The pace that the kit was made was quite astonishing, and came round a lot quicker that i thought it would (being a handmade kit an all) As collection day came i was extremely lucky to be greeted by an utterly amazing looking kit and a totally awesome guy aswell. 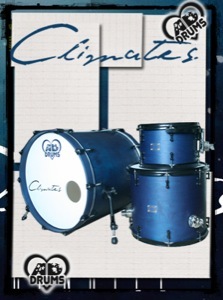 I truly new what an amazing purchase i had made when i finished my first show using the kit. Well four months later I could not be happier with my custom kit. Carl’s customer service is brilliant. He is constantly in touch at every stage of the build giving his advice, Sending pictures and generally answering any questions you have. I just wish id have had one a lot sooner as it would have saved me a lot of time and money. I love the sound it packs out and the build quality is 100%. I love the comments from other drummers at gigs telling me how nice it is. 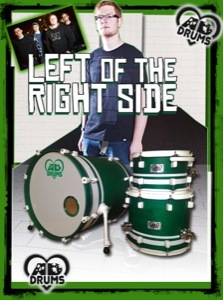 I would recommend Ad Drums to anyone and will be spreading the word about Carl’s kits for a long time. 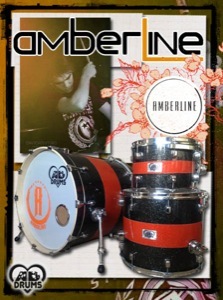 Late last year i approached Carl at ADDrums about a kit build. I cant exactly remember how i stumbled across the company but i’m glad i did. He gave me a rough quote and i was blown away buy the price as i had approached another custom company in the USA and was quoted twice as much. I cam back to him a few months later and gave him £1000 to play around with, he can build your kit in instalments but if you can afford pay the full price at the start as it really speeds up the build time because they can order everything in one go. A few months later the kit was ready so i made the long journey from london to malvern. Throughout the build i got updates and pictures to go along with it which is a nice touch again not something you get from other companies. Turned up to pick up the kit and was blown away it looked stunning. I payed the final instalment on collection and was expecting to go on my way, but no, he showed me round his workshop and the kits that he is currently building and gave me real look into what the company is about. (something you wouldn’t get from other custom builders). Once i got the kit home and in my studio it sounded awesome the kick has such presence and punch and the toms are loud with alot of cut. 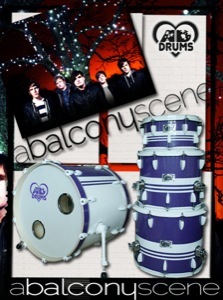 Micd up at a large venue it sounds insane you really have to hear one of these kits to believe it. 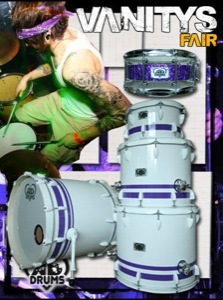 Around 6 months later i decided that i now wanted a snare built aswel. Again i payed nearly the full amount up front to make the build easier and quicker. I asked carl of he could build me a acrylic / wood Hybrid, I know he had never built one before and we were both really excited about the idea of it. Again through the build i was sent photos and given updates. Once it was posted it arrived next which is today i’ve just had it in the studio and played it for an hour or so it sounds so nice its not a sound you can explain its truly unique, and looks so nice in real life the photos i had seen of it did not do it any justice. The light bounces of the glitter finish and shouts look at me then it really does shout at you when you hear it. Since i’ve had my kit i’ve had so much attention from the way it looks and sounds everyone loves it, i’m now going to get even more now with my snare. 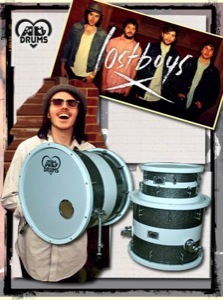 I believe in Carl and ADDrums the company is really going somewhere give them 5 years and they will be huge, personally i think they are already the best name in UK Custom Drums. 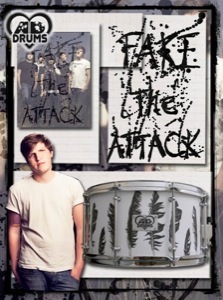 If you can come with a design to push him and make him better like i did with my snare, then trust me DO IT. I love being part of the AD Family, and Carl is a great guy really helpful and will help guide you through decisions on your build. I stiil talk to him now just as a friend. Carl Haffield & ADDrums great guy and a great company. Got to say one word AWESOME!!!! 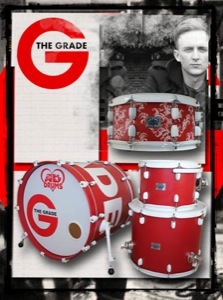 Me and the chief designer Carl of ADDRUMS had a word about what I wanted and went firm on a plan and pricing (cheap as!!!! ), after a deposit they ordered the wraps from America,whilst waiting for the wrap to arrive AD were on with powder coating and the drum build.Literally once the wraps arrived 2 weeks after the drums were complete and ready to pick up.On pick up Carl the main man of AD was on hand to reveal his masterpiece, and on first view it was plain to see that he doesn't mess around it was outstanding in every detail that we planned on. Once upon a time, it was a cold night in Stoke , just a few days before Christmas day, the wind was blowing and I was unaware of what I was to discover that night when playing that awesome show... Ok this is sounding like a strange children’s book hehe! 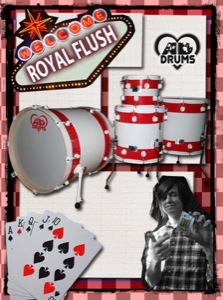 I first played an AD DRUMS drum kit a few years back, when I played a show in Stoke with 'I AM THE RUMOUR'. 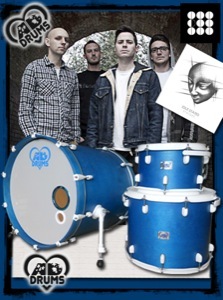 I had seen them before with other bands and loved the look of them but never was lucky enough to play one. That changed that night in Stoke, when We were supporting 'I AM THE RUMOUR' second on the bill for a Christmas show we put together. 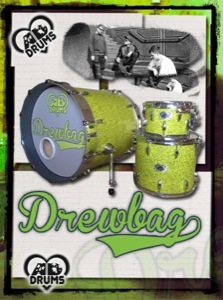 It was the usual scenario headlining band brought the kit, all other bands bring the breakables for their drummer. 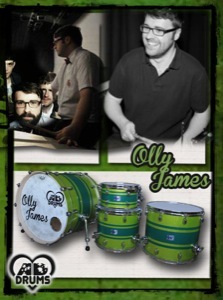 It just so happened it was an AD drum kit I would be using, I played it, was blown away! I loved the finish, the feel, the sound and knew from then on I had to have one! I contacted Carl and took it from there, I will never look back. I am happy to be part of the family! 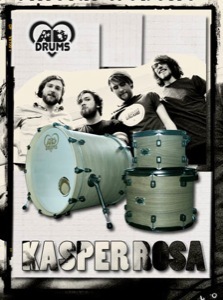 "After finding a crumpled AD Drums leaflet in my drum bag after a very messy gig, I decided to check out the website. I was instantly blown away by the quality of custom kits. Without doubt some of the nicest looking kits I've seen. 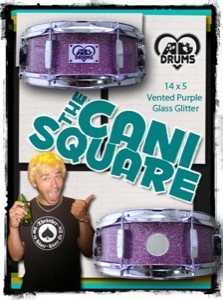 I contacted Carl for a quote on a snare drum, and was so surprised by the price. Amazing value for money. Put the order in, a month later it was done. Carl was great to work with, kept me updated throughout the build, and even managed to complete the snare in time for me to record with! So happy with my snare. 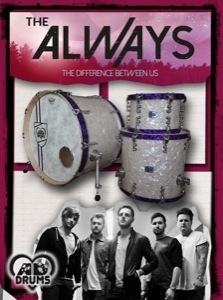 Sounds brilliant, looks amazing and was great to record with. 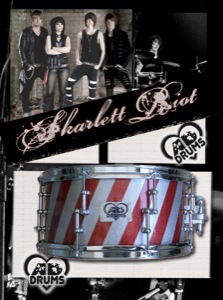 Can't wait to get the rest of my kit from AD Drums and to work with Carl again in the future." 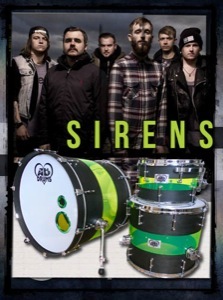 I always knew I'd get a custom drum kit at some point but it wasn't until I saw one of AD's Drum Kits on display at Birmingham Drum Centre until I finally went for it. 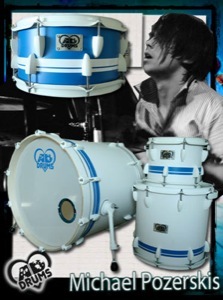 I was taken instantly by the appearance and outward design of the drums more than anything at first. 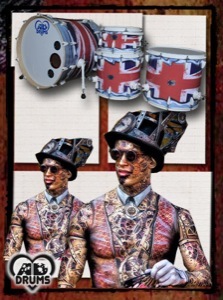 However, it was only when I met Carl at AD that I realised how much hard work and effort goes into making a drum kit that is as unique and individual as the player them-self. We talked about the shell construction at first and Carl was really helpful and knowledgeable when it came to finding a sound that best suited my playing style (Jazz / Jazz Fusion / Latin Jazz). Carl talked me through the careful process of sharpening bearing edges and waxing the insides of the shells in order to give a beautiful rich tone and overall round feel to the drums. In the end, I finally decided on a finish (props to Mr Haffield for his patience): Red Satin Finish over Oak Veneer and slick lugs. Sizes: 22x20, 10x7, 12x8, 14x11, 16x13. 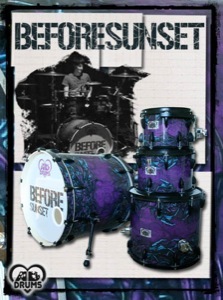 I truly believe that I have my dream drum kit! It sounds great and looks beautiful. Carl is an awesome guy, who makes awesome kits at an awesome price. 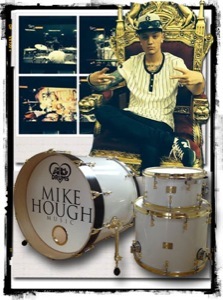 Not to mention, he is a genius when it comes to drum manufacture in general. 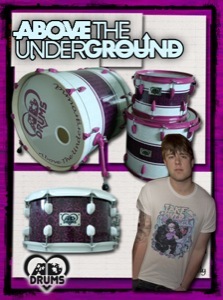 Check out AD drums, you won't be disappointed! 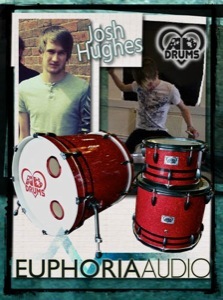 Whenever I think about my kit, I remember that I owe it all to the legend that is Carl Haffield! Thanks so much man!! 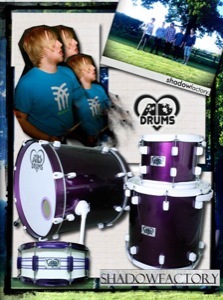 "It all started back in October when Carl was showing off his amazing custom kits at the Stafford Drum Show. Carl’s company stood out from the others at the show as his kits had that special something which the other kits didn’t (I have not yet found out what that “something” is, maybe I’m not meant to find out…). 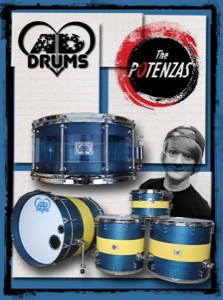 The main reason for going to the Drum Show was mainly to see the YouTube phenomena that is Cobus Potgieter, but I am so glad I went and found out about AD Drums. I got in contact with Carl near Christmas and we got talking, I gave him a basic idea of what I wanted and within a couple of days he came back to me with not just one quote but two accurate quotes. I must also add that the communication is amazing he replies to texts/emails at a lightning speed. We played around with ideas for a while and then finally settled on a design and price. Communication whilst the kit was being built was amazing, I was getting pictures sent to me every step of the way and also Carl explained where he was at and what needed to be done. 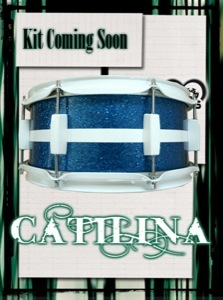 Finally the kit was complete, WooHooo!! Carl said I could come up and collect it anytime, but due to my work hours being anti-social, it was near impossible for me to pick the kit up, so Carl offered to have it delivered. I was expecting the price of shipping to be around £100, I was very shocked when Carl came back to me with the price. 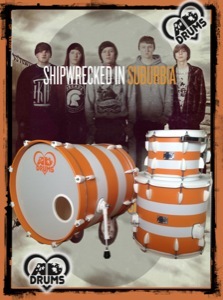 The kit sounds and looks AMAZING! I’m so glad I went for a custom kit instead of an off the shelf kit which would have cost around the same price. 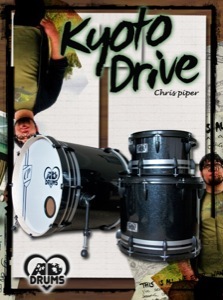 I highly recommend if you are looking for a new drum kit check out AD Drums or even if you just want a snare I would recommend Carl every step of the way!! It has been a pleasure working with Carl and I’m sure that I will use him again in the future. I can’t recommend him enough JOIN THE AD FAMILY!! You’re the best Carl thank you for putting up with me the past 4 months!! Would guess that i was Carl's and AD Drums most annoying customer yet, I'm some what of a perfectionist and when approaching him with no initial design he quickly helped me find exactly what i was looking for. With my frequent check ups via email he was very quick to respond with detail and not just short hand messages but going into detail as well as attaching photo shopped designs and photos to show me how the production was going to look like and how it was coming along. 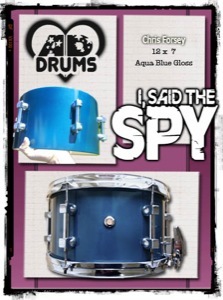 I placed my order late September and including a mishap by American suppliers received my kit by January which is an amazing achievement when looking at the standard of the kit and knowing that AD drums built it all by hand. 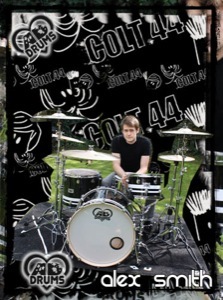 Every part of the kit is the way i imagined if not better, i first fell in love with AD drums when playing a gig and so built my kit sizes around that model. i had a beefy 22 x 20 bass drum which basically knocks my house down on every beat, perfect toms which through the tuning sounded amazing high, mid and low tuned. Finally my snare which with AD Drums custom brass snare wire makes the most amazing pop i have ever heard but again through tuning the variety you can get out of them was astounding. 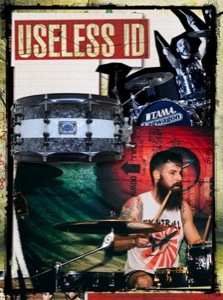 there is just to much to mention about how AD drums helped with photos, custom down to the finish of every detail, friendly service and all of it for great prices! plus carl has a firm handshake, which is needed for any great business. 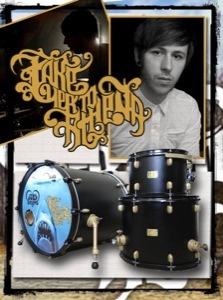 if your looking for your dream drum kit, Carl and AD Drums is most definitely the way to go about it. 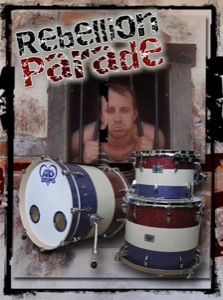 I first emailed Carl with an idea for a custom built kit. I told him the sizes i wanted and asked for a quote. 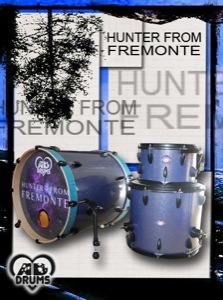 I wasn't sure what to go with as i had a custom snare and wanted something to match. 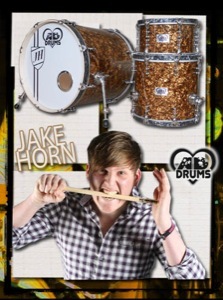 The snare was a wood finish so karl said about doing a red stained kit so the grain would show through. I thought that sounded cool but had no idea it would come out looking so amazing. Carl mixed a beautiful red together that really stands out. I was kept up to date step by step through out the making. 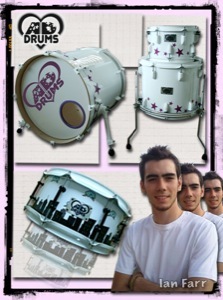 Carl is such a nice person to work with and there isn't nothing he couldn't do with a kit. I was amazed when i collected it. The build quality is solid and sounds amazing. I would recommend 100%. It was nice to speak to someone that wanted me to have the best kit i could. 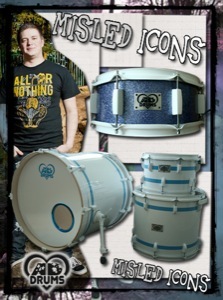 Thanks to carl at AD drums! 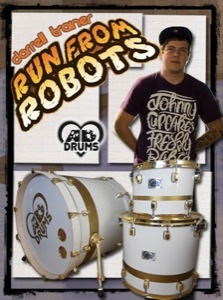 'In the back of my mind, I'd been thinking about getting a new kit so thought it was time to shop around. 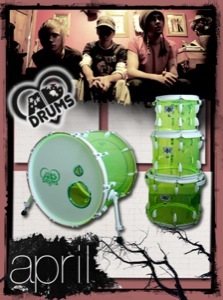 Having heard of AD drums around the music circuit I decided to check it out. 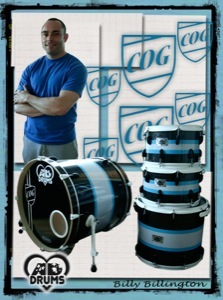 All I can say is working with Carl was the most unpainful process i've had with any drum company. I'd been speaking to him for over a year about some ideas and costs of things but never had the money all in one go. Hence, the best part about AD drums is Carl will happily wait until your ready to give your next installment and will take as long as you need until it's complete. This obviously really helped being a student and all! 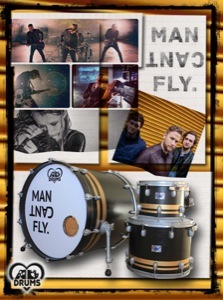 "Carl made me a custom snare drum, it took him under a month to make and when I finally got it I was so pleased with it, it sounded amazing and looked s**t hot! He worked within my budget and the payment system went really smoothly so it worked out fine for both of us, I really recommend him to any drummer looking for a special treat within they're own price range! 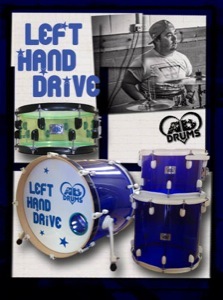 I first found out about AD Drums after playing a gig with Carl’s band The Fallout Theory, our snare stands accidentally got mixed up whilst packing up at the end of the gig, so I messaged them to arrange meeting up with Carl to swap back. When I went to meet Carl, he told me about some of the drums he had been working on and asked if I was interested in getting something made up, and within a week I placed an order for a new snare drum. Once the shell had been made, Carl invited me up to have a look at different colour combinations and finishes, and we worked together to achieve the look I was after. A couple of weeks later my snare drum had been built with a deep red shell with the wood grain showing through, black hardware with a wax finish, it looked better than I imagined! 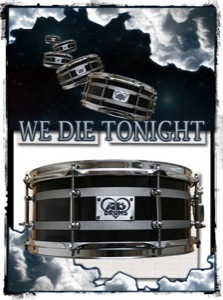 The snare had great character too; it had an excellent tone, and was extremely powerful. I chose to replace the standard snare wire with a sonar one, to achieve an even better sound, so phoned up to arrange getting the snare bed widened to suit the snare wire. I was so pleased with Carl’s work on the snare, I immediately began to think of ideas for a whole kit, I got in touch with AD Drums again to talk through some ideas. I emailed through some ideas of what sound I was trying to achieve. 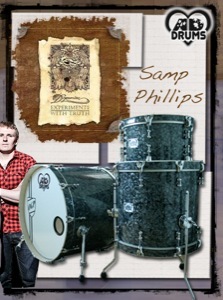 Carl helped me all the way in finding the right sizes and depths of the drums. I quite liked the thought of having the same kind of look as the snare, by showing the wood grain and decided to go for a deep blue/purple colour with a lacquered finish. I put a deposit down on the shells and arranged to meet up again to take a look at some colours. Once I was happy with everything, all I had to do was wait, I was regularly updated with progress, and when the kit had been made I arranged to go collect it. The kit sounded incredible, the kick was really powerful and with a hell of a punch to it, and the toms sounded fat with a great tone, the whole kit worked perfectly together. 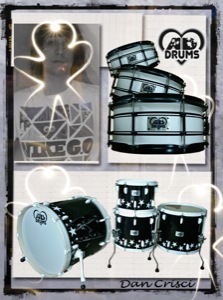 AD Drums were a pleasure to work with, with great customer service and I will definitely be keeping in touch to arrange anything new in the future. 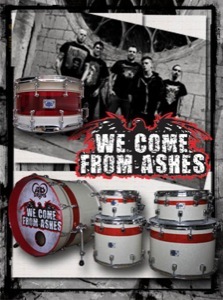 The kit is now being used within a home studio environment and has regular use from myself and other bands who come to practice and is used for recording, so far all of the comments I’ve received have been very positive so well done AD Drums!